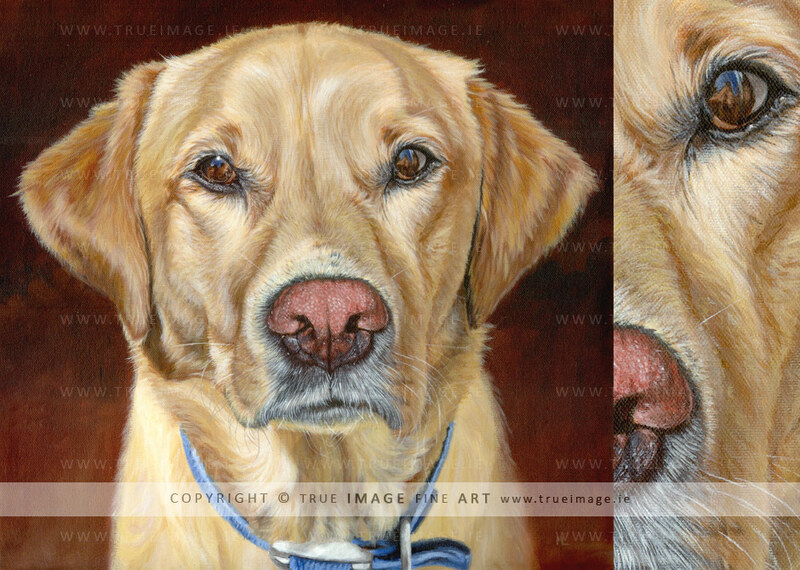 This is a portrait of a beautiful golden labrador retriever called Ripley. 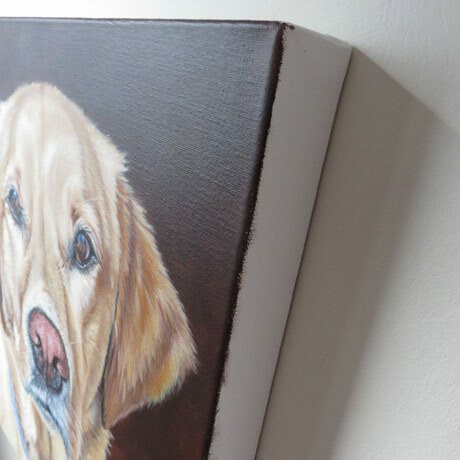 It was commissioned as a Christmas present for his owner by her husband. I worked with an excellent photograph that had very strong shadows. It made for a more dramatic portrait. 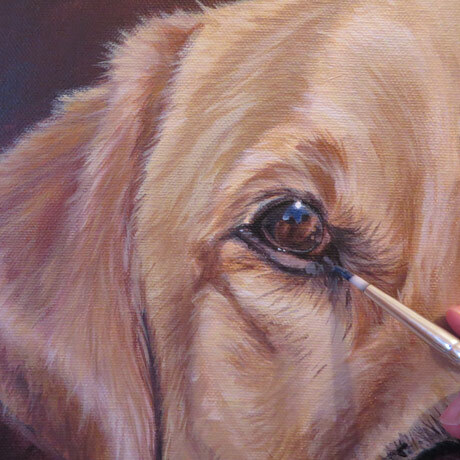 It was very enjoyable especially working on Ripley's eyes that had beautiful reflections. I worked on a square canvas 40 x 40 cm in size. 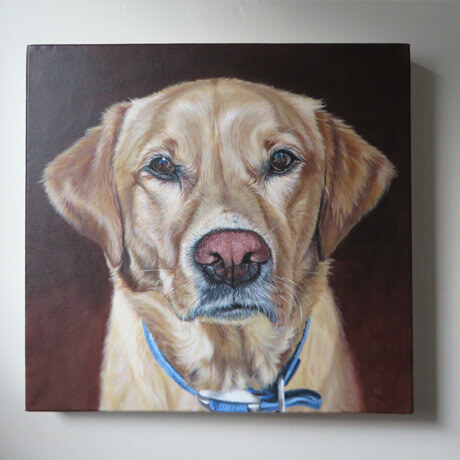 The client had the painting framed before giving it as a gift. 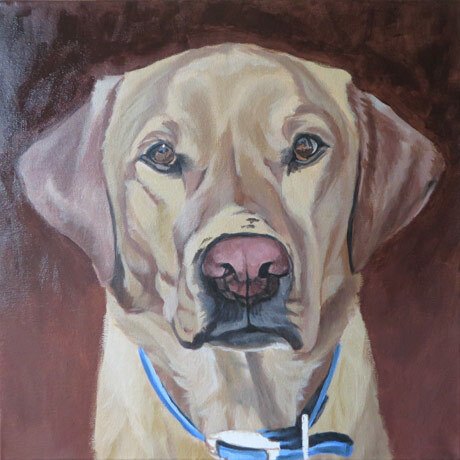 His wife was very happy with it and emailed me a picture of the framed portrait when she received it. "Good morning Ivana and a very Happy Christmas. 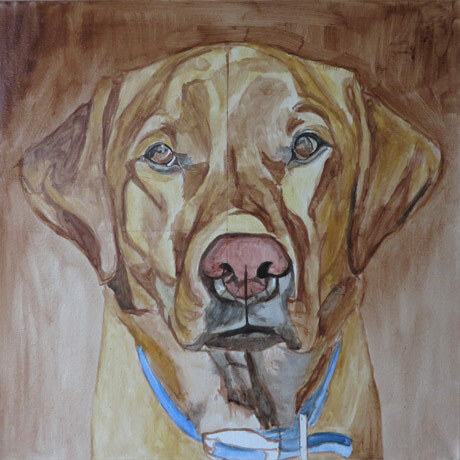 I wanted to thank you so much for your beautiful portrait of Ripley. 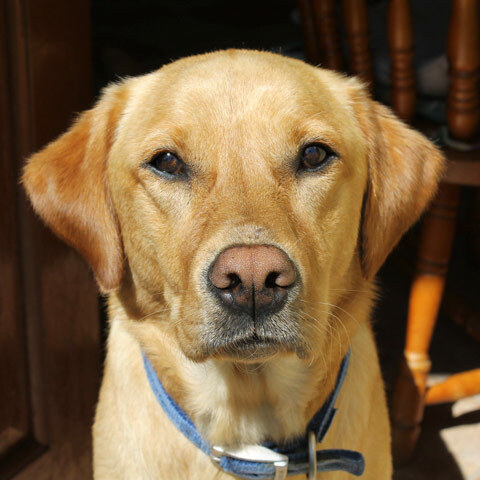 David and our girls made me close my eyes and walked me into the sitting room and when I opened my eyes and saw it I burst into tears. You captured him so perfectly, his expression and all the details, his beautiful colouring, just everything. It was a wonderful Christmas surprise and I will treasure it. It has pride of place, beautifully framed I might add, on our sitting room wall above the piano. And he looks beautiful. 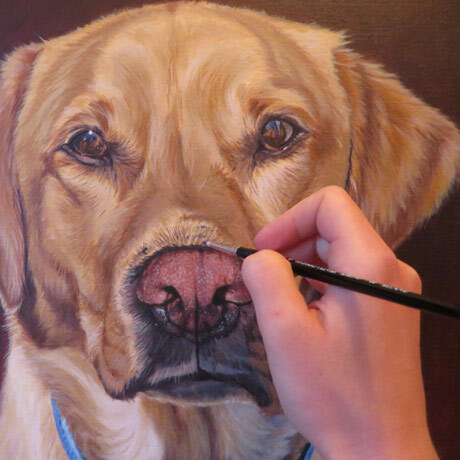 We'd be delighted if you chose to add him to your gallery online to showcase your wonderful talent. Thank you again so much Ivana from all of us, but especially from me :-) Best wishes to you and your family for a lovely Christmas and a Happy New Year. Angela"